Girrrl Stop! : Rules - Who Needs 'Em! PROMPT: When did you break the rules and things still turned out great? 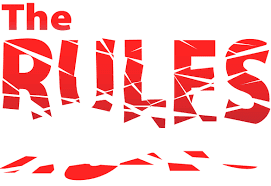 Truth: I break the rules all the time. Sometimes it works out and sometimes it doesn't! The Lord is still working on me to follow rules but I can't seem to do right. Even with my rule speaking spirit, God always seem to work things out. -I couldn't get to work on time (Baltimore - DC) so God made it so that I could telework 5 days a week! Problem solved! -When I was going to the office, I would work jeans into my daily wardrobe professionally (when it was against the rules) next thing you know it was issued in a company policy that jeans were allowed everyday! Honestly, it's a wonder I still have a job! But God! Anyways, Jesus was a rule breaker. He healed folks on the Sabbath, He turned over tables in the temple, He touched the lepers, He denounced religious leaders, He spoke to a woman he didn't know at the well, need I go on? Isn't our goal to be like Christ? Let me be clear, Jesus didn't break the rules to be rebellious rather He broke the rules to show that people mattered more than the rules! I can't say that's my reason all the time but I'm getting there 😀.